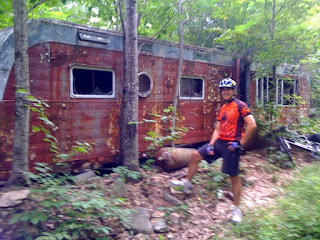 Dr. Palmer and I went for a little mountain bike ride near his place. We ran across this odd summer estate. Seems to have been abandoned since the 80s.